Parents are the #1 influence in their children's lives. Parents are the #1 influence in their children’s lives. Parents don’t always believe this – in a Parents Empowered survey, parents placed themselves last in the line-up of influences on their children – after friends, teachers and media. But when the youth answered the same question, they placed their parents first – before family, friends, teachers, and activities/clubs. Research shows that there are 3 things parents can do to protect children from risky behaviors: bonding, boundaries, and monitoring. The stronger the relationship between parents and their children, the more the child will not want to disappoint the parent. 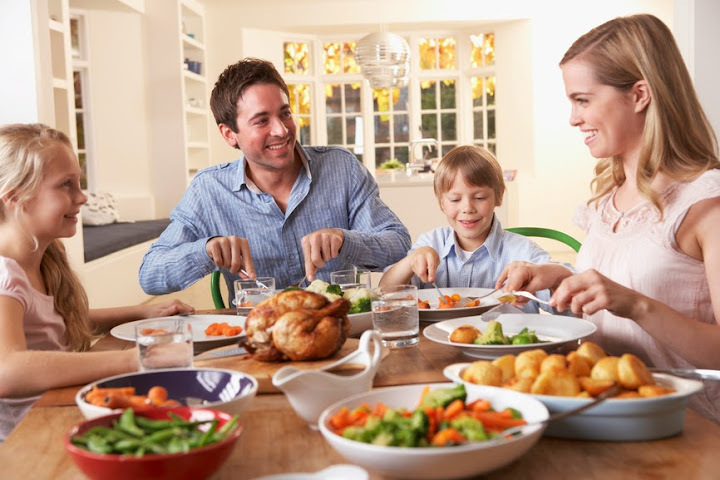 Eating dinner together as a family has a significant impact on protecting children from risky behavior, because there is family togetherness and discussion. Listening to children without preaching strengthens the bond. Working together and playing together create family closeness. Boundaries are set when parents set clear family rules on behaviors such as no alcohol or other drugs. Only a small percentage of teens will try these if parents make it VERY clear and cite consequences for breaking the family rule. A much needed parental task, that tends to drop as the children become teens, is monitoring. BYU recently came out with results of a study showing that the best kind of parenting to protect youth is “warm and with follow through”. In other words, check on your kids. Trust but verify! Check on their social media, when they are going out, ask the questions: Where are you going? Who are you going with? What will you be doing? When will you be home? Will there be alcohol or other drugs there? Have consequences when the rules are broken. Teens need parental closeness, guidance, and monitoring just as much as younger siblings. Yes, I do agree with the author because as a parent, I observe that my children are very influenced by me and my husband. Whatever we do or talk, they will follow us. I read in an http://www.essayuniverse.us/bestessays-com-review/ writing service that parents are the first teacher so parents should be very careful while handling children. I appreciate that author for any useful information. Cinnamon, ginger, and rosemary improve the kind of chocolate in one of a kind ways. Enhance chocolate with ground flavors, serve different http://www.pro-academic.co.uk/do-my-assignment/ nourishments prepared with herbs, or offer entire things, for example, cinnamon sticks, contingent upon the sort of chocolate being served. It could be enjoyable to serve chocolate confections seasoned with or matched with each flavor so individuals can give them a shot and see which they like best.